Airline passengers face higher fares after the Chancellor confirmed a planned rise in Air Passenger Duty (APD) will go ahead next April. 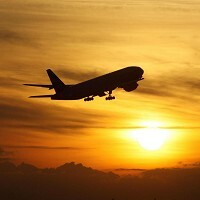 Holidaymakers face rises of around 10% on their air fare, according to the airlines. Bosses at the four big airlines accused Mr Osborne of scoring "an own goal" in his bid to steer the British economy to recovery, saying that the APD rise will hit tourism and foreign investment and reduce career opportunities for youngsters. The Airport Operators Association joined industry condemnation of the move, saying it is "bad for jobs, bad for growth and bad for passengers".